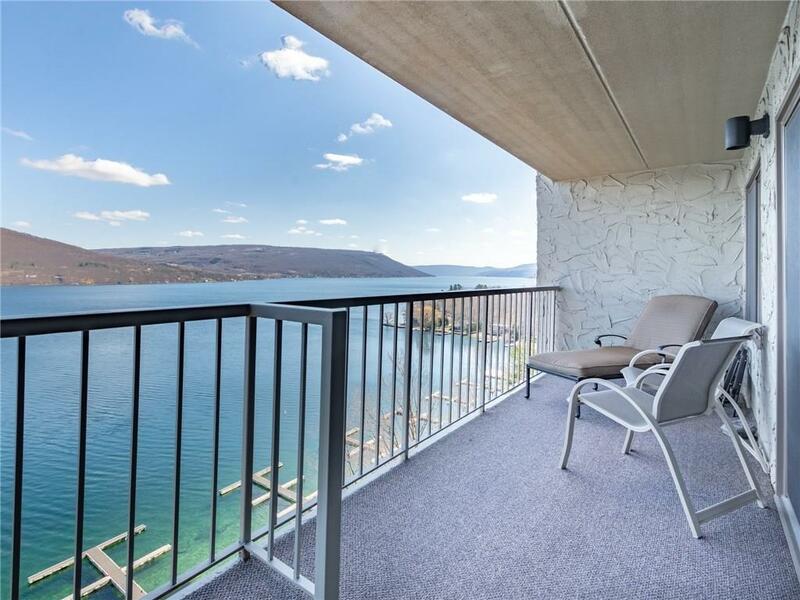 Beautiful "Harvard model" Condo with 2 large bedrooms and 2 bathrooms on Canandaigua Lake! Breathtaking views of the Lake & hills! Upgraded granite kitchen and master bath. Well-maintained with all new windows and water heater. Wood-burning fireplace currently has electric insert for easy enjoyment. Convenient access to Condo from covered parking, only steps to the beach & boat docks. Enjoy all Bristol Harbour Village amenities, including: 250 feet of waterfront and beach, community center, fitness room, playground, tennis/pickleball/basketball! Golf memberships and boat slips available separately. Located in the heart of the Finger Lakes, near wineries, skiing, hiking, cycling and more! Start enjoying the Lake Life with no maintenance and low taxes! Directions To Property: Seneca Point Rd To Cliffside Drive To #82.